Truro Cemetery Chapel occupies a long strip along the southern side of St Clement's Hill, with the cemetery chapel lying opposite the St Clement's Parc junction. There was originally a very small church burial ground for St Mary's Parish Church in Truro. A new cemetery at the borough's northern extremity was consecrated on 15 July 1780, and expanded in 1805. That no longer exists, and the current municipal burial ground was opened in the nineteenth century. 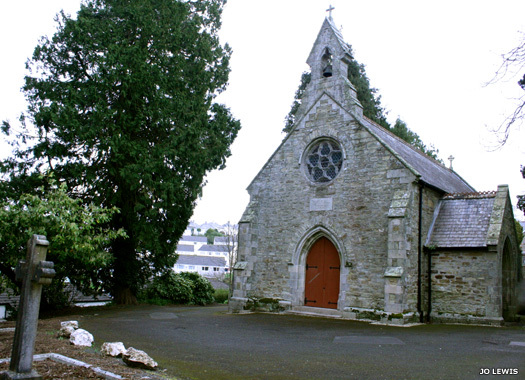 St Andrew's Church Malpas overlooks Malpas Road and the harbour at the peninsula's southern tip. 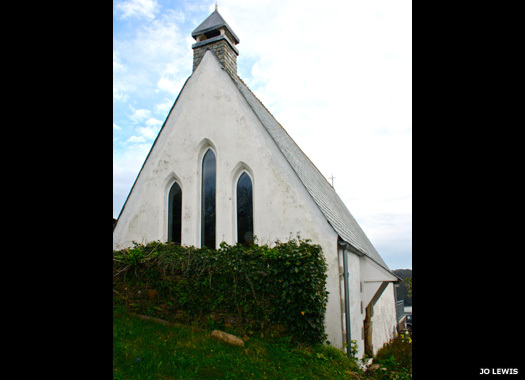 Reverend Moore, vicar of St Clement, built this small un-consecrated mission church near Victoria Point in 1882. In 1894, his wife paid for a wooden hut next to the church for use as a reading room (it still stands in 2017). 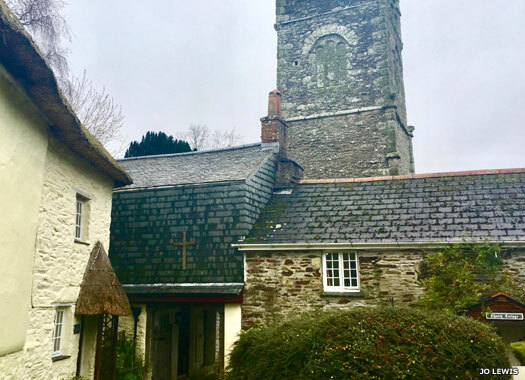 The Malpas Village Hall Trust leased the site from the diocese of Truro in 2013, and set up a brand new community venue there called St Andrew's Hall. Malpas United Methodist Church is about sixty metres south of St Andrew's, on the seaward side of the road. 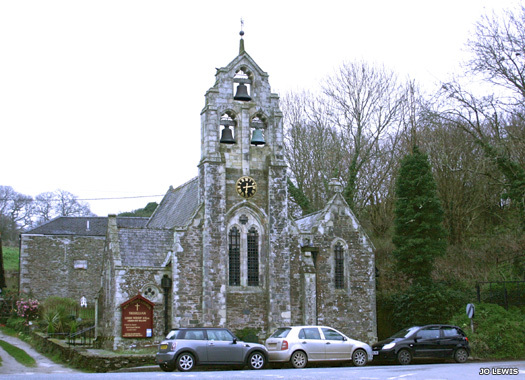 The chapel is described in Kelly's directory of Cornwall (1902) and can be found on old maps of the area. It was seemingly still in use in 1929. Now a luxurious home called Victoria Lodge, it was recently available on the open market (2017). There was some suggestion in Estate Agent literature that the property dates back to the fourteenth century. 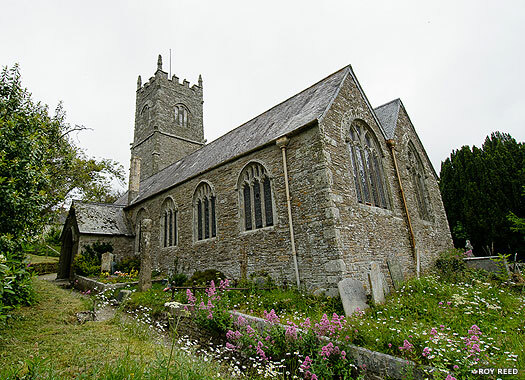 St Clement's Church lies on the inside of the road as it turns north from this small hamlet to head to Tresillian. The building is Grade 1 Listed and was enlarged during the fourteenth and fifteenth centuries, and then restored in Victorian times. The pinnacle tower has pilasters and mouldings of St Stephen granite. Built in three stages, the second stage is dated 1326, during Edward II's reign. The tower carries a ring of six bells, three of which are of medieval origin. Shown here from the road approach, the church tower and lych-gate are both visible. The restored lych-gate is an interesting slate-faced building which, over the centuries, has had many roles. For many generations it was the parish vestry room, where rates were made and relief granted to the poor. Later it became the village school. Between 1840-1872 the downstairs' room served as a pig sty. The upstairs room has also been an artist's studio. 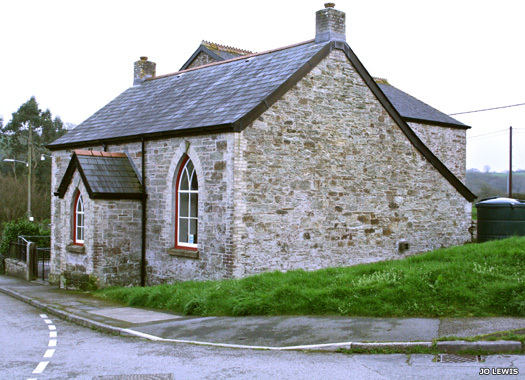 Tresillian Methodist Chapel is the first of three church buildings in Tresillian. It lies on Fairfax Road, visible from the northern side of the main A390 road immediately prior to crossing Tresillian Bridge. 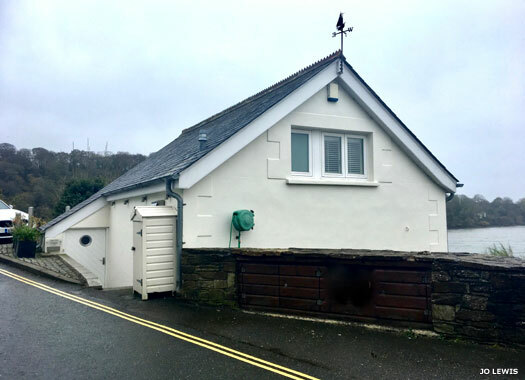 This stone building is characteristic of this part of Cornwall, and originally served as Tresillian Wesleyan Chapel. 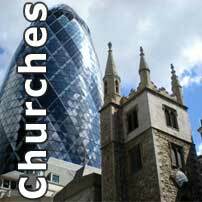 Today, with the various divisions of Methodism having reunited, it serves all the area's Methodists. The building underwent significant refurbishment in 2009. Holy Trinity Church comes next, occupying a site immediately after crossing Tresillian Bridge, on the eastern side of the road. This Gothic Revival church was first built as a chapel-of-ease in 1878 thank to a growing population overfilling the first chapel (possibly now the church hall, below). It has since been rebuilt and the current structure dates from 1904. Most of the fittings were all taken from the, by then, virtually abandoned church of St Coan at nearby Merther. Tresillian Church Hall is also on the eastern side of Tresillian Bridge, next to Holy Trinity Church itself (the track road on the right divides them). A chapel is documented here in 1880, and there is also reference to a Wesleyan chapel which may now be the Methodist chapel (see above). The original chapel was too small so the current chapel-of-ease was built (now Holy Trinity - see above). 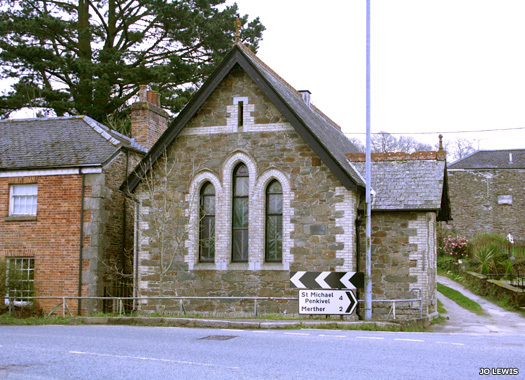 The former chapel, the building shown here, is now the church hall.